As seen from El Salvador. 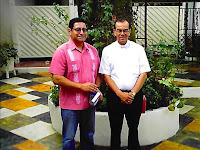 The first time I met Bishop Gregorio Rosa Chavez several years ago, he gave me a book called “Day by Day with Archbishop Romero” and he highlighted a quote in it from the Salvadoran martyr in which he says, “The Word remains. This is the great consolation of one who preaches. My voice will disappear, but my word—which is Christ—will remain in the hearts of those who have wanted to receive it.” (12/17/78). Therefore I was not surprised to see that this is the quote Rosa Chavez chose to print on the souvenir cards issued for his inauguration as a cardinal. Along with the Romero quote, the keepsake cards also bear the shield designed for the first Salvadoran cardinal. Contemplating these elements makes me reflect about the unprecedented appointment of Rosa Chavez as a cardinal, and offer these three insights: (1) how the appointment of Rosa Chavez is really a hat-tip to a cause; (2) the differences between Rosa Chavez and Archbishop Romero; and (3) how the cardinalate of Rosa Chavez might bring him closer to his patron saint. The coat of arms of Rosa Chavez contains several elements of interest. The design consists of four panels with symbols of his ministry. The first panel is a star that represents the Virgin Mary, which is practically identical to the star in the shield of Pope Francis that carries the same meaning. The second panel contains a palm frond, which represents the martyrs of the Salvadoran Church, almost all whom were personally known to the prelate. The third panel shows a sprig of rosemary, an obvious symbol of Oscar Romero (“romero” means rosemary), which also appeared on the shield of the Fourth Archbishop of San Salvador. Finally, the fourth panel presents two hands that extend towards each other, which symbolizes the “preferential option for the poor” of Latin American ecclesiology embodied by Romero and other martyrs. In effect, it is striking to see how Rosa Chavez’ shield seems to signal to us that this cardinalate appointment is for Romero (as Rosa Chavez himself has said), for the martyrs, for the Salvadoran Church. There is not a single sign that represents Gregorio Rosa Chavez: not his family arms, not the mountains of his native Morazan, nor the flag of his city is shown. Through his shield we see how Rosa Chavez empties himself, totally takes himself out of the picture, to yield to others that he considers to be the ones deserving the honor. This seems quite unusual. It is not normally seen in the appointments of other cardinals that the honorific is granted not to a man but to a disembodied cause. Not even in the cases where a follower of a larger figure in the Church has been elevated—as when Lois Capovilla, the secretary of St. John XXIII, or Stanisław Dziwisz, the secretary of St. John Paul II were named—did we see such total deference on the part of the honoree for his guarantor. The second aspect to reflect upon is something that has not been developed in the comments that have accompanied the appointment of Rosa Chavez, which often emphasize the definition of the new cardinal as a follower of Romero; as his friend; as one inspired by him; as obviously very devoted to him and therefore it is presumed that there is a unity of identity between the two. In reality, we must admit that they are not the same person. There are differences between them. To honor the person of Rosa Chavez we must admit that he is not Romero, and we should not expect him to become Romero come Wednesday. 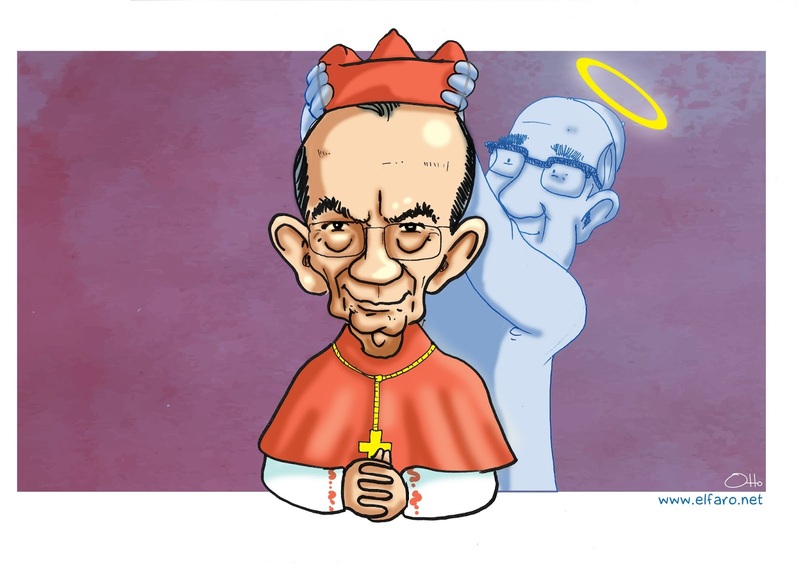 So, what then are the differences between Blessed Romero and Cardinal Rosa? In the first place, Romero is unique: the product of his time, his environment, his personal trajectory, the historic hour he had to live and above all his glorious martyrdom. Rosa Chavez is actually more progressive than Romero, but he never made the same splash in Salvadoran society because of all of the aforementioned and because Rosa Chavez never had a bully pulpit like being Archbishop of San Salvador. At this consistory, Rosa Chavez will be the belle of the ball. This is due to several factors, including the unusual circumstances of his appointment, such as his being the first auxiliary bishop to be appointed cardinal. It also helps to be inducted in an unusually small group—it means that each new cardinal will receive a lot of individual attention from the media, and we have already seen the dozens of interviews, the national and international press features, and constant attention in social media. It is possible to imagine that the cardinalate may become the bully pulpit that Rosa Chavez never previously had and which could now help to catapult him to a stature that approaches more closely that of his storied mentor. They say that the famous medieval seer Nostradamus once met a group of young monks and knelt before one of them, calling him “Your Holiness.” The story asserts that the same youth decades later was elected Pope Sixtus V. When I first met Rosa Chavez years ago at his St. Francis parish in San Salvador, I bowed and kissed his episcopal ring as a gesture of reverence for all that he represented, especially his unrequited loyalty and his solidarity with the church of the poor. I never thought I was identifying a future “papabile.” However, if it turns out that my gesture was prophetic, let it be known that the pope I have predicted would be called “Oscar I”. Blogger and future cardinal, 2008.